Between 2011 and 2015, the Financial Intelligence Unit (FIU) analysed 2,341 Suspicious Activity Reports with a dollar value of approximately TT$3.7 Billion. However, to date there have been no convictions in connection with Money Laundering offences. This was on Thursday revealed by David West, Director of the Police Complaints Authority (PCA). West was delivering the feature address on “Tackling Corruption” at the Trinidad and Tobago Transparency Institute’s (TTTI) Annual General Meeting. He disclosed that all this had not gone unnoticed by the Financial Action Task Force (FATF) and the Caribbean Financial Action Task Force (CFATF). West said if Trinidad and Tobago did not put its house in order then Trinidad and Tobago faced the possibility of being grey-listed. Showing a way forward, West outlined a methodology that appeared to be working in Guatemala. “The way forward as I see it, is to adopt the system implemented by Guatemala in their fight against corruption. Guatemala ended its 36-year armed civil conflict in 1996 with a signing of peace accords. Twelve years later, the country was plagued by organised crime, and ineffective criminal justice system, weak institutional governance and lack of political will and increasing violent crime. Of 6,000 homicides in Guatemala every year, only 20 per cent went to trial. Guatemala has a population of 16,732,346. In 2015, Trinidad and Tobago had a murder rate of 410. By the end of 2016 the figure may be approximately 436.” West said. “As far as my research is able to show, to date not a word has been spoken about the Commission (for the investigation of Illegal Groups and Clandestine Security Structures) as a mechanism for tackling corruption in Trinidad and Tobago. It is up to TTTI and other NGOs to bring it to the attention of the Government and Opposition, that the public do not trust National Institutions because they feel the institution have been corrupted. An independent, international body like the commission established in Guatemala is the only way forward now, in my view. The recent Nigel Henry poll stands as testament to that fact. Therefore, if Guatemala can do it, surely we can also,” West said. 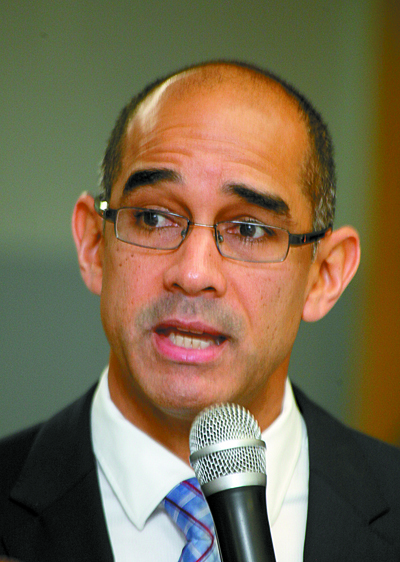 He added Trinidad and Tobago did not lack the legislative teeth to fight corruption as there were several pieces of anti-corruption legislation including the Prevention of Corruption Act 1987; Integrity in Public Life Act 2000 as amended; Proceeds of Crime Act 2000 as amended; Public Procurement and Disposal of Public Property Act 2015 – awaiting proclamation. Proposed legislation included the Whistleblowing Bill; Civil Asset Forfeiture International Convention; among others. “With all these laws on the books, why is corruption so prevalent in Trinidad and Tobago and why does corruption appear to thrive in our twin-island State? Because there is no accountability. Corrupt persons feel they can get away with corrupt deeds. The investigations take too long, the prosecutions take too long, the appeal process can take years to complete and if the appellant has the funding to go to the Privy Council, the process will be extended. There is also the issue that witnesses are either killed or lose interest because of the length of time it take to prosecute. We have no proper funtioning Witness Protection Programme, it is ad hoc at best,” West said. “It seems strange to me that you can pass down a Bill when in Government and when in Opposition, you do not support what you brought to Parliament a few years earlier and then seek to blame the current Attorney General for not doing research on whether or not the Act was successful. I see no hope, there is no future for our young if this type of ‘third world’ politics continues,” he said. In the Transparency International Corruption Index Report, Trinidad and Tobago was ranked at position 72 for 2015 as compared to 85 in 2014. Trinidad and Tobago is among the most corrupt nations in the Caribbean region, with the likes of Haiti, Guyana, Dominican Republic, Suriname, Jamaica and Cuba. From the inception of the PCA on December 29, 2010, there have been 2,139 complaints received. Currently, 1,279 are being investigated. For the period 2014-2015, there have been 12 reports of police corruption, 297 reports of serious police misconduct and 183 reports of criminal offences by a police officer.